Sinitta is probably best known for the various men she has dated, including Simon Cowell and Brad Pitt, so when her Twitter account started spewing some pretty bizarre stuff, it was always going to be about the duo. The ‘star’ seemed to really have it out for the pair, with some less than favourable things said, which have now been taken down. 2/2 … What really amazed me though were his balls … they didn’t have any wrinkles!’ # sorryangelina. 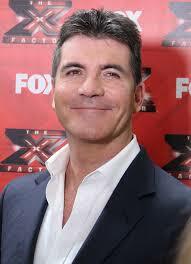 Obviously Simon Cowell didn’t get away unscathed either. BTW @SimonCowell’s moobs are working breasts.During wifes pregnancy helactated.He only really took botox to dry up milk ducts #SimonCOWell. It turned out to all be a hoax however, being hacked for ITV2 show Safe Word, with Sinitta herself later confirming that. If you have noticed strange activity today those messages were not from me I've been hacked by new @itv2safeword. Coming soon to ITV2! I’m sure Brad Pitt and Cowell – not to mention Angelina – will sleep easier tonight knowing that.